Unlike other legal secretary courses, this tried and tested programme of study gives you the perfect overview of what’s involved and the different legal departments. As well as looking at the setup of legal offices youll also example civil and criminal law, the course system and how legislation happens. Your first steps to legal secretarial work continue with layouts, file management, office and client accounts, recording time, client care and abbreviations. Then you complete this excellent initial legal secretarial course with handling amendments and corrections. 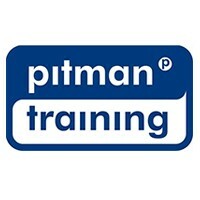 This is a flexible course, so you work at your own pace – and in addition to having Pitman Training on your CV, you keep your personalised workbook as a handy reference guide. And on completion, you can progress your career with further legal secretarial courses or opt for the full Legal Secretarial Diploma, the very best of training if you want a high-flying career as a top legal secretary. Whats more, we can also provide alternatives with both Scottish Law and English Law versions of this course. So if youre considering a move to the UK, you can be confident that wherever you work, youve chosen the very best training. Carear Path After this training you could look to train in the different legal specialisms such as Family Law, Conveyancing etc. or, alternatively, you could look at Paralegal training courses.